This overview shows the three main variations of the Lion, the Lion's den, the Lion's claw and the Lion's head. Click on the buttons on the top of this page to view the variations. 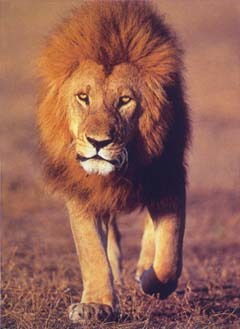 Of course there are many more variations of the Lion. In the book three more variations are described: the Lion's roar where white sacrifices it's bishop at f7, the Lion's yawn with 3. ....., e7-e5 and the Lion's mouth with a white advance with f3 and g4. For more information on the Dutch book 'De Leeuw, hét zwarte wapen' click on The Book. 2.1.1.2 6. ... g6 7.Bc4 Bg7 8.0-0 0-0 9.Nf3 (9.Re1 Nc5) 9. ... Qe7! 2.1 5. ... h6 6.0-0 c6 7.a4 Qc7 8.b3?! Nb6! 1.1 7. ... exd4! 8.Nxd4 Ne5 9.Bb3 c5 10.Nf5 Bxf5 11.exf5 Qd7!